As austerity measures bite, we turn our attention to some fairly radical cutting of budgets. The financial picture is bleak and requires some robust decisions to reduce costs and to re-shape the Organisation. 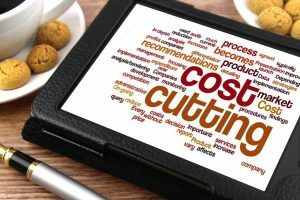 The obvious cost line is of course staff salaries and employment numbers – or is it? Front line services need to delivered, as efficiently as possible, of that there is no doubt. But reduction of front line staff will surely run against the ability to deliver the contracted and legally required services. So what can be done to protect the very resources that are needed in the future, and of course to limit the social impact of job losses in our society? The answer strangely lies with those very people. For years the old paradigms have run our services, “the way it’s always been done”. Here we now have an opportunity to address the paradigms, realign them to suit the new order, and to use the knowledge in our staff to seek out, identify and then get rid of waste. Waste can take the form of many things; financial waste, time waste and process waste. If you ask staff to take a clean sheet and design their own department, you will inevitably find many examples of waste. Much of it is found in terms of “internal transactional costs”. This is the cost of just being ourselves, of administering to our own processes, and not that which adds real and direct value to our Customers. So maximise staff engagement now, ahead of unpalatable decisions to cut jobs, and we will uncover a whole raft of waste that will deliver real cashable savings once eradicated. People matter; they are our ability to be flexible outside of rigid process in the future; They are the soul of the organisation that provides identity and purpose; They are the innovators of tomorrow. TAM Programmes are designed to maximise employee engagement, seek out unwanted process, procedures, transactional costs, and to streamline the work of the people of the organisation. The programme carries a 100% return on investment guarantee, making this a unique tool, driven by the Directors and Officers. It also carries recognition by Unison and GMB.